TypeRocket 3.0 makes adding theme options for WordPress simple. Add any number of custom fields you want. 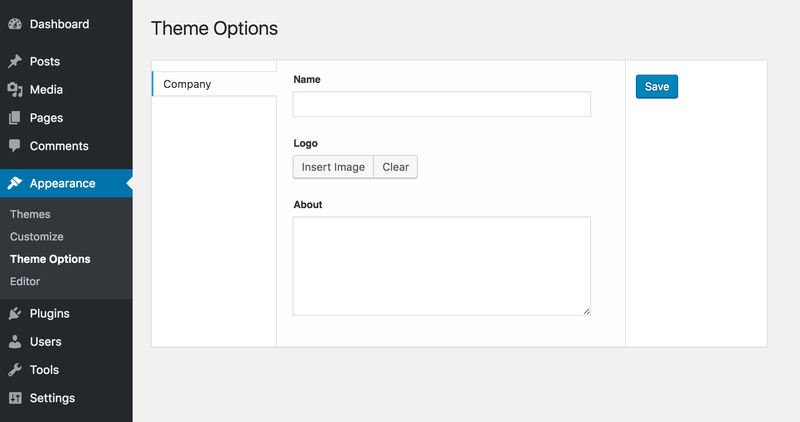 Out of the box, the theme options plugin comes with a file called admin.php.